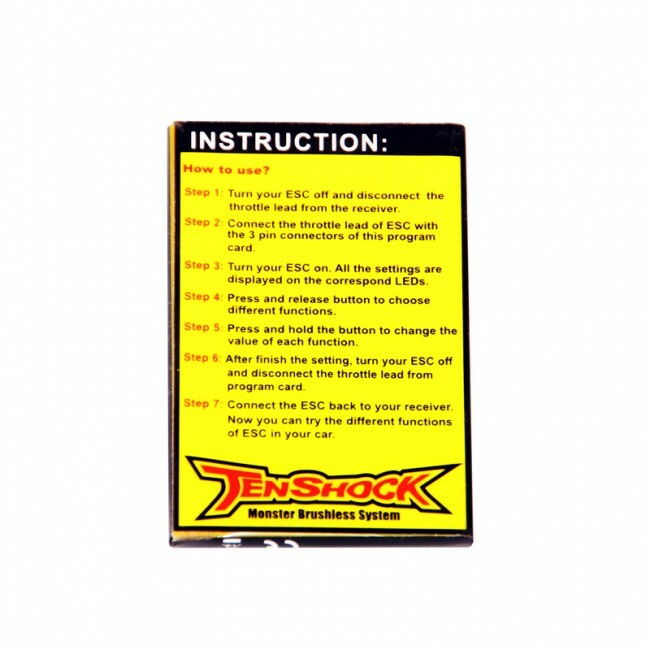 This is the program card for programming Tenshock ESC's. 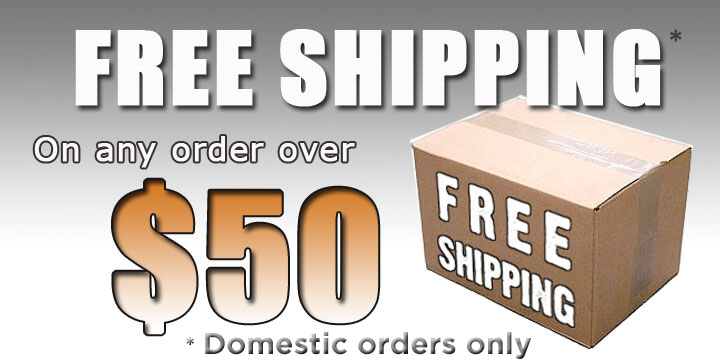 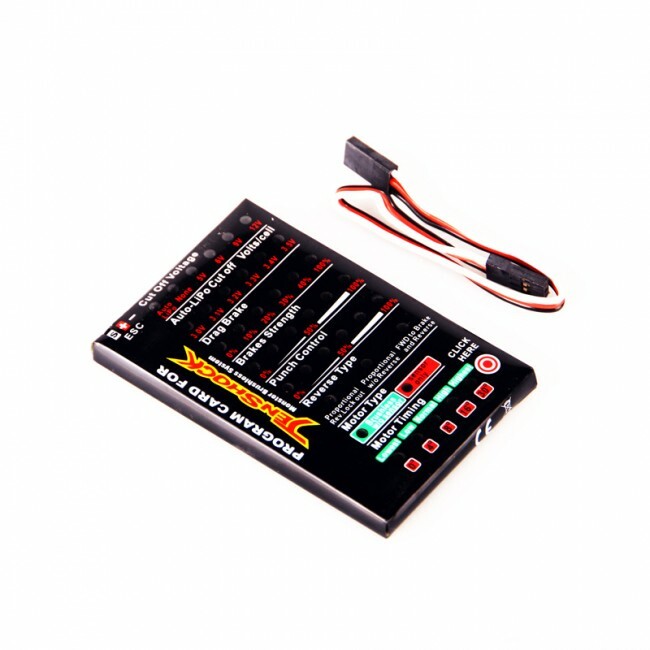 With this card you can easily and quickly adjust the following by simply plugging into your ESC signal lead. 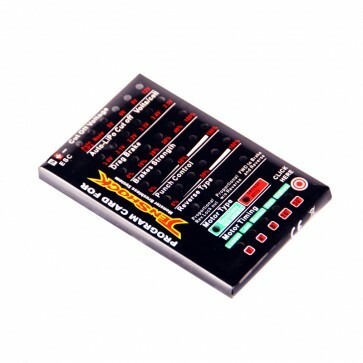 All settings are displayed at once and you can scroll through and adjust each one individually.